Visit Middleton! The Mustard Museum is located at 7477 Hubbard Ave, Middleton WI 53562. Museum admission is FREE! 2019 WORLD-WIDE MUSTARD COMPETITION is here! Learn more about the world's greatest mustard competition. WE KNOW MUSTARD. From the World-Wide Mustard Competition to National Mustard Day, it all happens here. 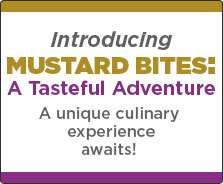 Taste the expertise by clicking "the store" in our menu above for mustards, gourmet foods, gifts, apparel, and more ... or actually stop in to the world famous National Mustard Museum in person! Remember, you can support the Museum by making a tax-deductible donation to the Museum. 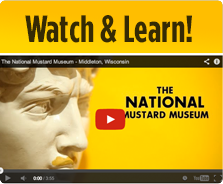 Check out the story of the National Mustard Museum to learn how it all began. 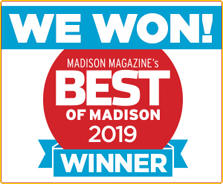 Also, learn about the other great places to visit in Middleton by going to visitmiddleton.com. It’s March, and there’s another tournament bracket for you to obsess over! Introducing the 2019 MUSTARD MADNESS bracket. Fabulous mustard prizes await the mustard savant who can accurately predict these epic matchups of mustards. 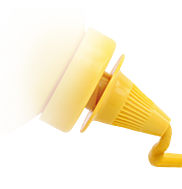 The “winner” of each game will be determined by the sales for each mustard. Just download our fillable-PDF, fill in your picks for the winning mustards (NCAA bracket-style) and send us your entry. You can print it and then drop it off at the Museum, or you can save it and email it to us or message us via our various social media outlets. b. Please be sure to fill in your contact information so we can reach out if you win! a. “Games” will begin on March 28, the week of the Sweet Sixteen of the NCAA March Madness. i. Game winners will be based on sales for that week. For example, if Norman Bishop Dill & Garlic outsells Terrapin Ridge Dill Pickle that week, Norman Bishop will be declared the winner and will advance to the next round. ii. The second round will correspond to the Elite Eight, and so on. iii. You earn points for each correct prediction you make, with increasing value per round: 1pt for round 1, 2 for round 2, etc. b. The winning mustard and bracket will be announced shortly after the final “game”. In the case of a tie, those brackets will be added to a drawing and one name will be drawn to determine our prize winner. 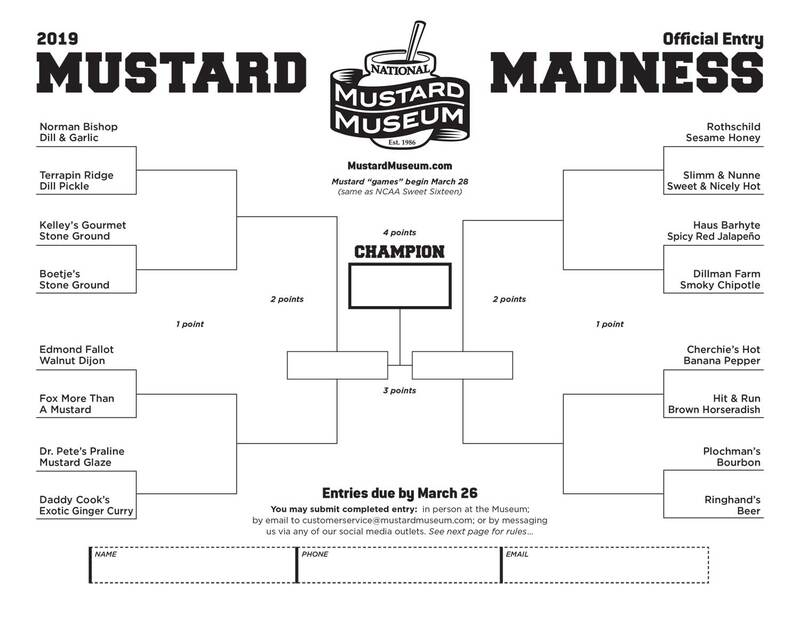 a.	One-of-a-kind Mustard Madness 2019 gift box (featuring the 2019 Final Four mustards), $50 Gift Card, and Mustard Museum swag. b.	Bragging rights and the adoration & respect of your friends, family, and employer (probably a raise! ).